Highlights of the Sky Bet League One game between Wycombe and Peterborough. 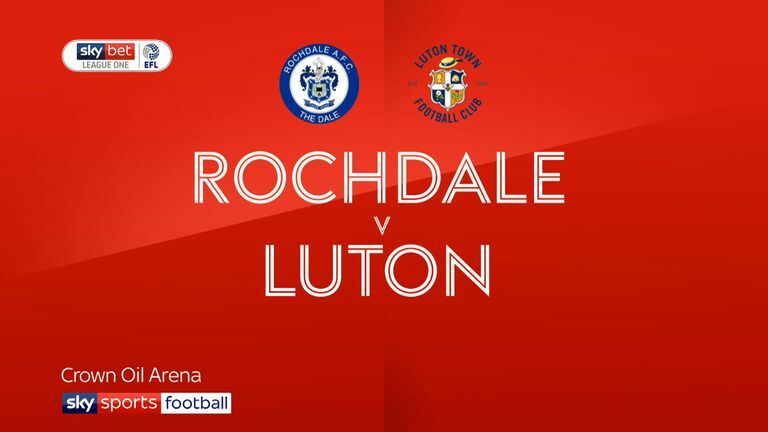 Ten-man Luton held on to secure a point from a goalless Sky Bet League One draw at Rochdale. The visitors were under the cosh for long periods of the game but stood firm even after Danny Hylton was dismissed 20 minutes from time. The home side had the lion's share of possession and enjoyed chances throughout. 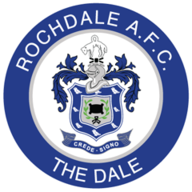 Ian Henderson went close to netting his 100th goal for Rochdale early on but the Dale skipper was denied as James Shea diverted his effort wide. 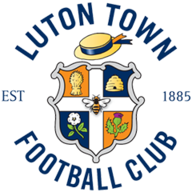 In the 17th minute a Luton attack broke down and Dale raced upfield through Matt Done, who picked out Brad Inman's run into the opposition penalty area. However, the ball was slightly stuck beneath his feet and Inman's connection was not strong enough to beat Shea. The chances kept coming for Dale, a goalmouth scramble seeing Done then Jordan Williams denied by some desperate Luton defending. Luton were reduced to 10 men in the 72nd minute when Hylton was shown a straight red card for a stamping challenge on Henderson. Substitute Zach Clough had Dale's best effort late on, smashing a curling effort against the crossbar.